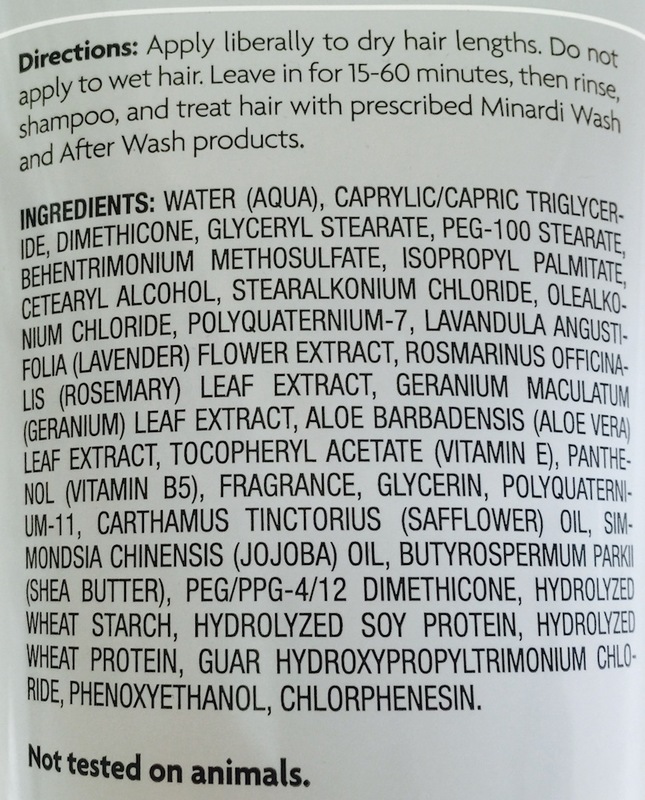 If you have chemically treated hair, or dry and damaged hair from the elements, then Minardi Fortifying Pre-Wash Therapy is a wonderful pre-wash treatment that deeply moisturizes and nourishes traumatized tresses. According to Minardi it is an ultra luxurious créme-oil emulsion that "deeply infuses dry, damaged hair with maximum levels of moisture and nourishment." it is formulated to, "instantly restores silkiness, combability, strength and shine." It also helps to maintain brilliant and vibrant color in between your visits to the salon. 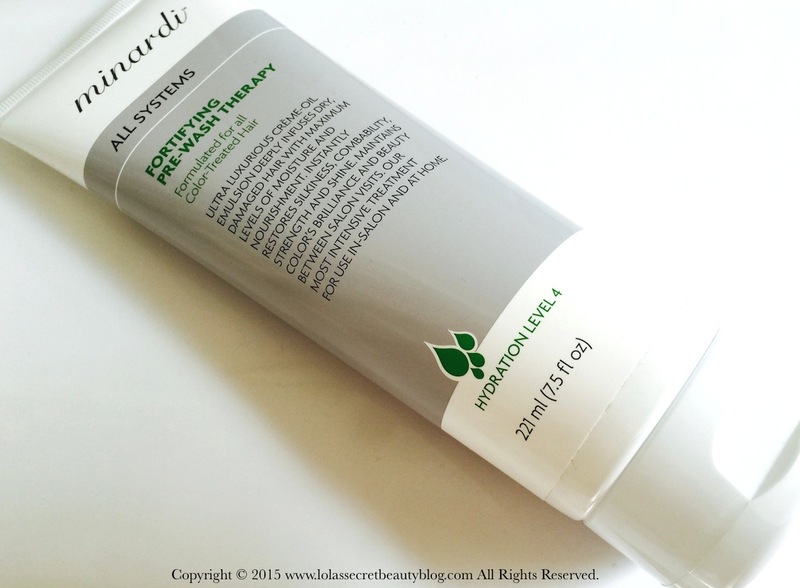 It is Minardi's most intensive treatment for use both at home and in-salon. 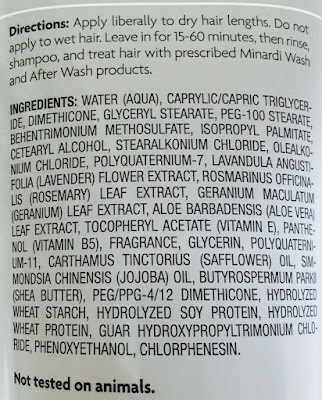 Beth Minardi, celebrity colorist and creator, calls it a "broth of fatty acids, proteins, lipids and water that rebuilds hair with what it's made out of. Pre-Wash rinses beautifully and smoothly out of the hair without any greasiness. It smells of lavender and amber, so it's pleasant and makes the salon experience great." According to Beth Minardi, "when I'm wrapping foils, I apply the Pre-Wash in between to deeply repair the hair and help hold the foils in place. When a client is having a retouch and the color is on the roots, Pre-Wash is simultaneously applied to the dry hair lengths. When the client is receiving a retouch from a relaxer, this is on the hair shaft. Pre-Wash is NEVER applied to wet hair." Minardi Fortifying Pre-Wash Therapy has a delightful light floral scent that is delicately punctuated by the aroma of Lavender and Rosemary, but is neither overpowering, nor is it cloying. Furthermore, after shampooing your hair all traces of the aroma disappear. It has a rich and emollient texture that is luxurious and satisfying to the touch, and it even moisturizes hands during application. You simply apply it liberally to dry hair, not wet, and leave it on for 15 minutes to an hour. Since I have naturally curly hair that is dry, and that I periodically color, I always leave it on for at least an hour since my hair needs as much moisture as possible. My hair isn't what I would describe as damaged, and I do not have split ends, but the more hydration the better. After about an hour, I wash and condition my hair, and then let it dry naturally. The result is ultra-moisturized, baby soft, silky-smooth and beautifully shiny hair. Furthermore, my hair is more manageable and frizz-free– making this one of my most reached for haircare products these days. 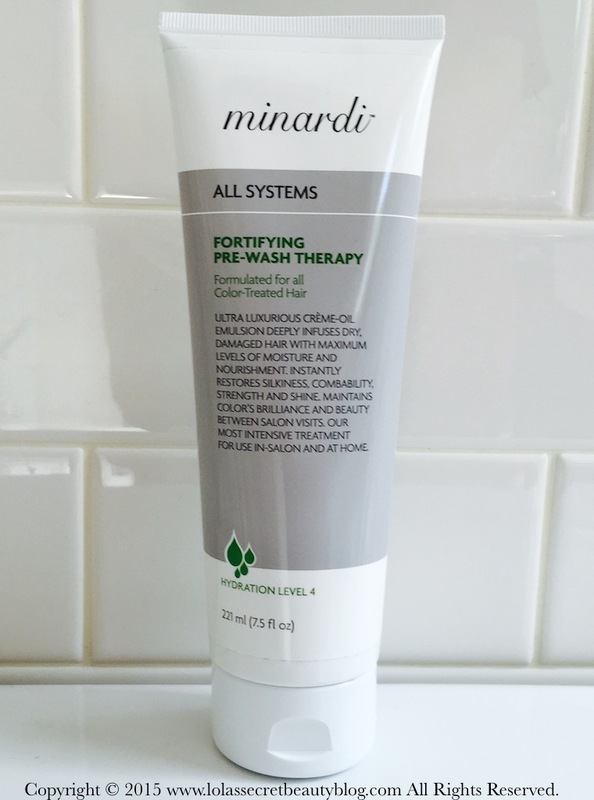 Overall Assessment: If you have dry, damaged or over-processed hair, then Minardi Fortifying Pre-Wash Therapy is definitely something you should consider trying. $36.00 for 7.5 oz. from Loxa Beauty and Amazon (Affiliate Links).